Ancient Japanese legends told stories of mermaids and nymphs crying tears of pearls. When the Greek gods wept, they shed pearls. Even the moon allegedly shed tears of well…you know. There are many myths pearls, and not all tales involve crying. Early Chinese civilization believed that dragons carried pearls between their teeth. If you were brave enough to slay a dragon and claim a pearl, it was a symbol of wisdom. In Hindu folklore, dewdrops fell from the moon into the sea, turned into pearls, and Krishna picked one out of the water as a gift for his daughter on her wedding day. Being the subject of many legends, pearls, as you can imagine, were highly coveted. They were also extremely rare in nature. During the Byzantine Empire, only the emperor was allowed to wear pearls. The ancient Egyptians loved them so much, they were buried with them. And Tudor England was nicknamed the Pearl Age because of the gem’s popularity with the sixteenth-century upper class. The next time you are in a museum looking at Renaissance art, notice the many portraits of the royals wearing pearls. In more modern times, they became the Art Deco centerpiece for flappers and fashionistas. Ladies who lunch wore them with their white gloves. Pearls during the day, diamonds at night, and never the two shall meet. If pearls are the gem of legends, then this watch from Honora is legendary. 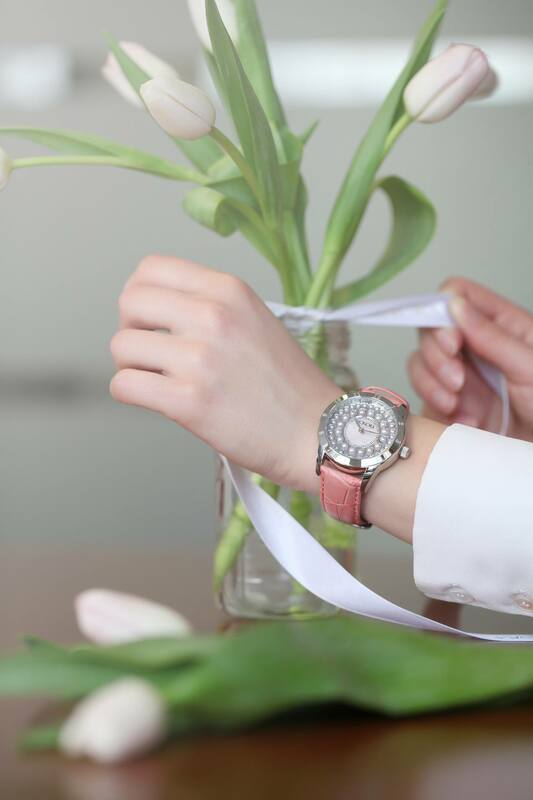 We love the contrast of the leather wristband and the halo of pearls around the watch dial. 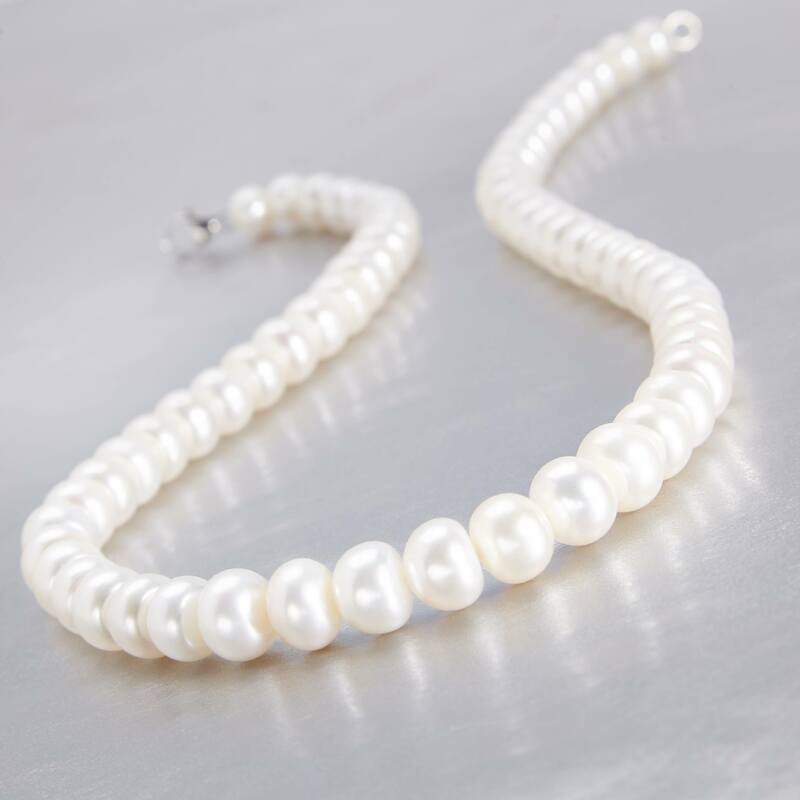 One more from Honora: this classic strand of white pearls is timeless and versatile. Wear it with a blouse and jeans or a dress to work. It’s perfect for either and will make you feel like royalty. 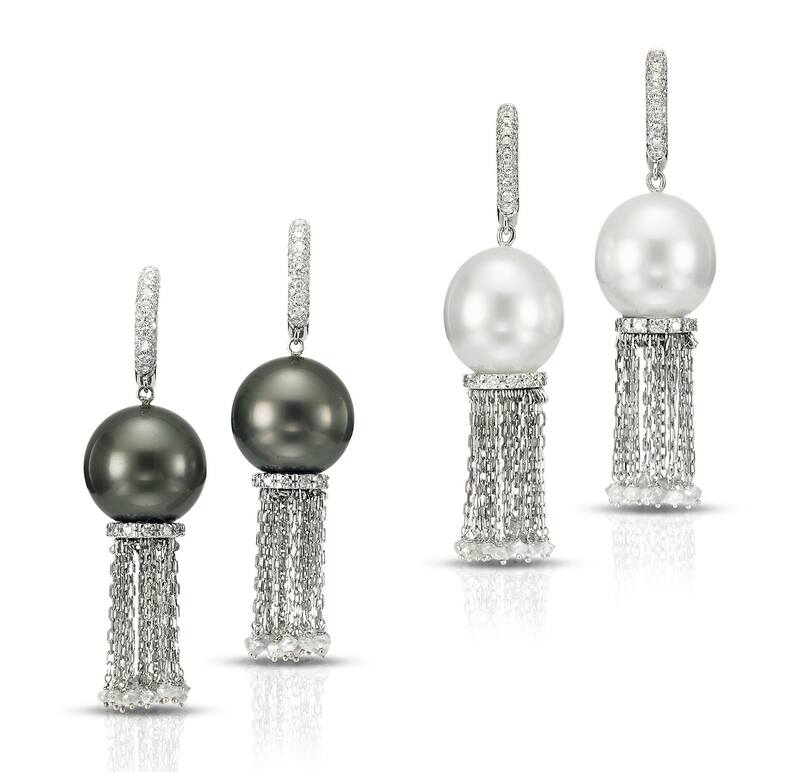 Thankfully, these drop earrings from Breuning ignored the memo that diamonds and pearls don’t go together. Try telling that to these rebellious diamond, pearl, and pink sapphire jewels. Last, but certainly not least, are these pairs of thoroughly modern fringe earrings from Mastoloni Pearls, featuring both black and white pearls. 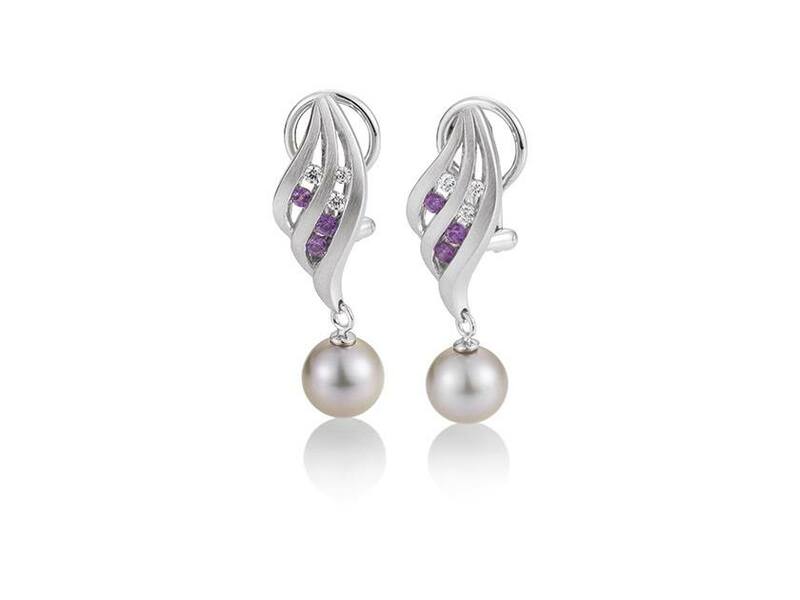 If you are looking to mix up your jewelry arsenal, give pearls a whirl. Seriously, find some pearls you will love and enjoy them for years to come. Click here to find a jeweler who can help you find the perfect piece.